Another shot from the other days heavy fog when it was at it’s thickest. There’s just something about fog, when it swallows and muffles every sound. Like being inside a bubble. Nice fog-shot! 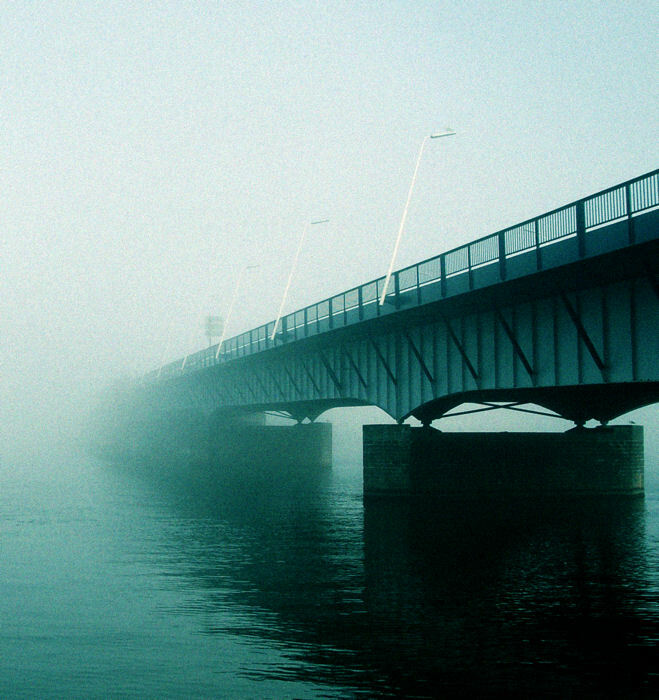 Like that the fog manages to make the bridge disappear totally in the distant. i love the grain, i love the b&w, i love the fog, i love this shot!!!! And i love it too. Really well composed and thought!